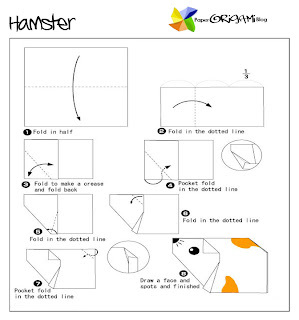 Animals Origami: Hamster Hamsters are rodents belonging to the subfamily Cricetinae. The subfamily contains about 25 species, classified in six or seven genera. 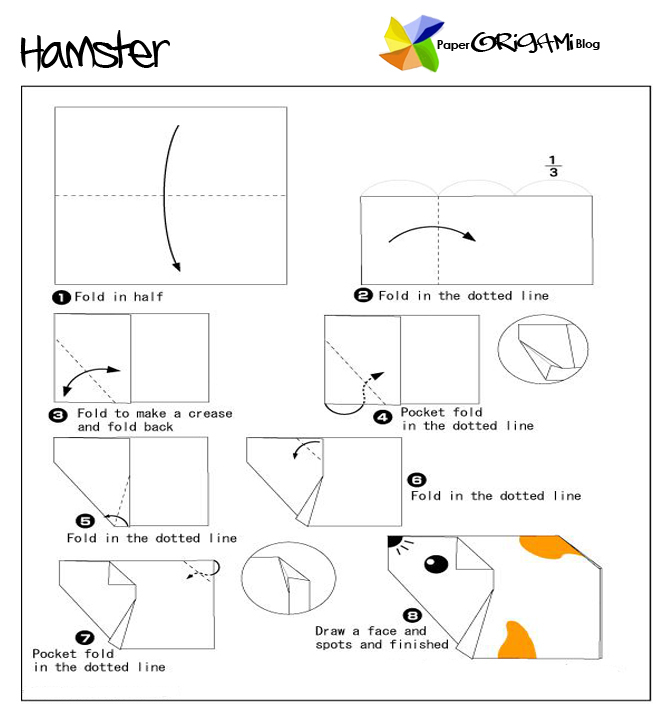 Hamsters are crepuscular or nocturnal animals which burrow underground in the daylight to avoid being caught by predators. Their diet includes a variety of foods, including dried food, berries, nuts, fresh fruits and vegetables. In the wild they feed primarily on seeds, fruits and greens, and will occasionally eat burrowing insects. They have an elongated pouch on each side of their heads that extend to their shoulders, which they stuff full of food to be stored, brought back to the colony or to be eaten later. Although the Golden Hamster (Mesocricetus auratus) was first described scientifically in 1839, it was not until 1930 that researchers were able to successfully breed and domesticate hamsters. Pet Golden Hamsters are descended from hamsters first found and captured in Syria by zoologist Israel Aharoni.